Renowned Dorset salon, Parley Studio, was established in 2007 by International award-winning hair stylist Samantha Stevenson. Situated in the beautiful rural surroundings of West Parley, Bournemouth, Parley Studio is a creative hub in a unique location where you will find individually tailored one-to-one hair appointments. Samantha will spend time with you, discussing and advising you on the best styles, treatments and care, so you are left feeling indulged, confident and with beautiful hair. Over the last thirteen years, Samantha has won numerous awards for her work, including the prestigious Dorset Wedding Supplier Awards ‘Hairdresser of the year’ in 2017. She is in demand all over the UK and Europe, creating incredible red-carpet worthy wedding hair. Samantha’s passion is creating elegant, classic, sophisticated looks to suit each bride’s personal style. Her expertise in complimenting the character and features of a face means every client is left feeling thrilled and excited about their wedding day look. Working as a full-time stylist in the studio, Samantha only uses the very best and latest products, colours and treatments. Parley Studio has a relaxing, friendly atmosphere with complimentary hot and cold drinks. Parking is right outside the studio, and late night appointments are available until 10 pm, 7 days a week. 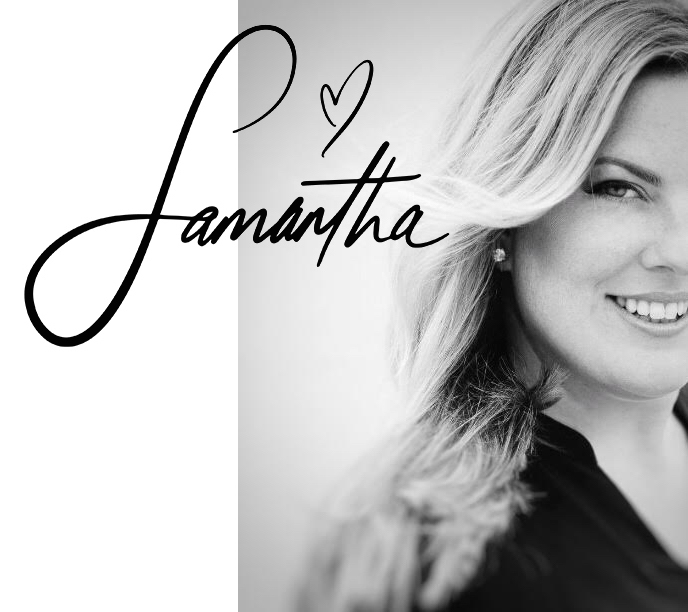 Samantha Stevenson believes in creating a seamless wedding day experience and often teams up with an exceptional wedding make-up artist, Kate Carroll. Kate only uses the highest quality, premium brands and represents Estee Lauder, the favoured make-up brand among professionals. Flexibility is critical when working with brides-to-be. That’s why Samantha fits in around you on your big day, so you can either visit the salon if you prefer, or she will come to your home or hotel. I’ve worked on artistic, fashion and bridal photoshoots both in the UK and Portugal with Samantha. She can create any hair style effortlessly and so quickly which is exactly what you need when you have a short turnaround between shoots and locations. She’s always looking for the next venture to showcase her incredible work and this is why I would highly recommend her for any hair styling for any occasion. Samantha styled mine and my bridesmaids' hair for my wedding and she was amazing! So so lovely, and did a fantastic job. It all looked beautiful and just what I had in mind even when I felt I couldn't verbalise it. Thanks again Samantha! Amazing studio! Wouldn't go anywhere else! Such a beautifully friendly atmosphere... not to mention beautiful hair do's, and beautiful confidence! Highly recommend!